Brisbane’s Luxury Beauty & Facial Salon is in Westfield Chermside Shopping Centre, Brisbane north side. Over 25 years in the makeup, beauty & advanced skin industry gives Facialist Maree Andersen of Soho Skin Management a unique approach to traditional beauty treatments. The combining of traditional luxury beauty treatments with Advanced Light and Laser Skin Rejuvenation means your salon experience will be a uniquely created one of ultimate relaxation with long lasting results tailored specifically for your skin needs. You will never go back to run of the mill beauty treatments ever again. Advanced skincare & facials combined with ultimate relaxation massage techniques means your emotions will be transformed just as much as your skin. Most of our facials are for Neck, Decolletage and Face with no hidden extras. Inspired by & delivered in the luxury you would expect from a top Parisian spa, your skin & nail health is just as important as the nail varnish hue. Healthy, Luxury grade skincare, ethical cleanliness & experienced nail experts means a restful & meticulous manicure or pedicure to ensure you leave with standout hands & feet glowing with youth. You are unique. Our Advanced Skin Experts will tailor your salon treatment to suit your desired results. 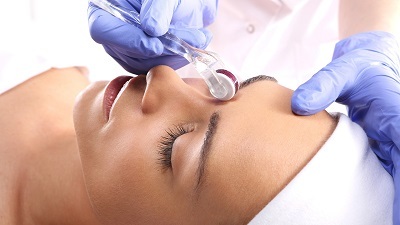 Gentle layered laser energies and clinical skin refining techniques offer a safe and progress improvement in skin health. Facials are our passion. We pride ourselves on continuing our personal education in skin health. This enables us to utilize international massage techniques, advanced laser technology and state of the art skincare to achieve the most luxurious, decadent and results driven facials. We are so much more than a day spa. Day spa with clinical skin experts suits us best as we provide a vast array of results driven skin & body maintenance treatments through to layered light energy and laser facials that offer non invasive and quick results in correcting skin concerns. Our Beauty Therapist’s are dedicated to quality and have an eye for detail. All our beauty services, whether they be waxing, manicures, pedicures or brow sculpting use the safest ethical skincare products for your comfort and peace of mind. Traditional customer service. Every guest is a VIP at Soho. Ultimate Luxury Facials. 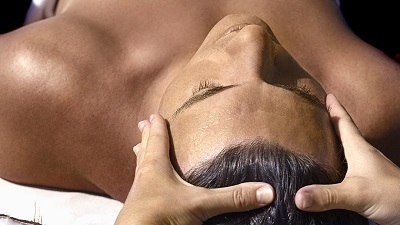 Decadent, results driven treatments transport you into a state of bliss. Results & relaxation. We only use high quality, results driven & luxury skincare in our treatments. Dedicated Skin Experts. All our beauty therapists, senior experts & laser specialists value regular training to ensure our approach is current and up to date. Skincare Education. We take the time to consult and educate you on why your skin is behaving in an irregular manner and what is needed to create balanced skin health. Luxurious face & body packages to soothe the soul and bring out youthful skin from within. 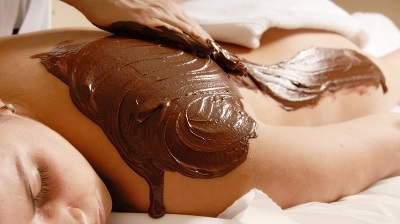 A truly divine spa body & facial experience for yourself & someone you love in our couples room. Total body detailing for smooth, clean and healthy skin. A total body awakening experience for silky smooth skin. Book Online or contact our reception on 1300 21 7646 to arrange a Gift Voucher or booking. Please note: Each customer is individual and there is no guarantee of specific results as results may vary from person to person.